Bon Voyage, Bushy Bikini Line. Love Your Skin. Waxing the City was founded in 2003 by four innovative women with both the passion and expertise to open a studio dedicated to waxing. The business grew from a one-room studio in the trendy LoDo neighborhood of Denver, to a regional phenomenon. One studio led to two, two led to two more, and so on. 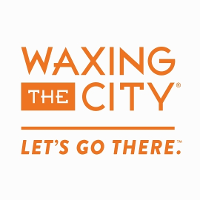 Waxing the City is now taking convenience to the next level with a global expansion. The founders are still actively involved today as Waxing the City expands. From the start, our founders were committed to hiring the best waxing technicians and making them better. Every licensed esthetician at Waxing the City completes an extensive training course before they serve clients. Our approach is so unique that our highly-trained waxers have a special name: Cerologistsª.